Filed Under: E SAFETY, News, What's new? 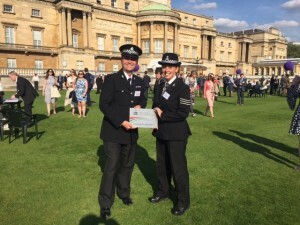 Chief Inspector Ian Sewart and Sergeant Helen Nellany from Lancashire Constabulary attended Buckingham Palace recently to receive a plaque from HRH the Duke of Edinburgh. The plaque was given to the force to celebrate the 60th anniversary of the Duke of Edinburgh Award scheme. They were joined by special guests, including other members of the royal family, young people receiving awards from the Duke himself and organizations that support the scheme. Lancashire Constabulary has been a licence holder for the Duke of Edinburgh award scheme since the introduction of its volunteer police cadet programme and many of its cadets take part in it. 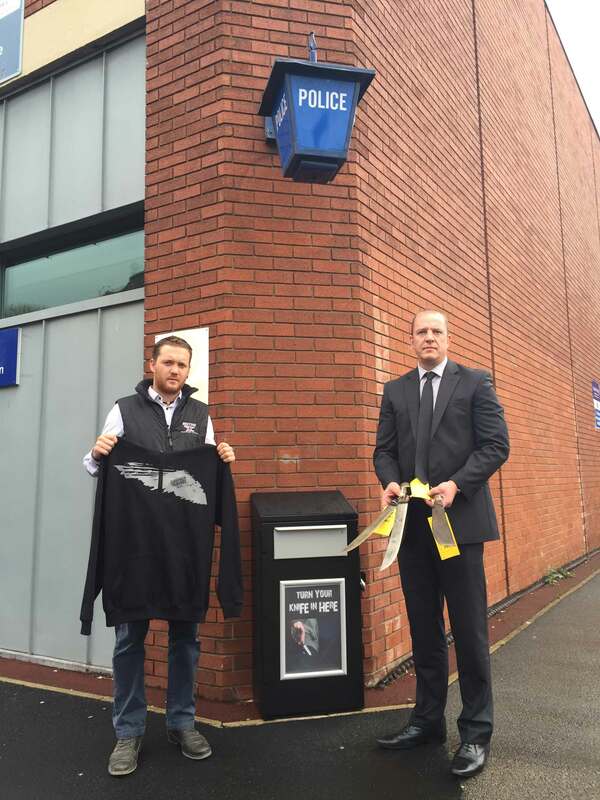 With the support of the Police and Crime Commissioner Clive Grunshaw, Lancashire Constabulary is now recruiting cadets to fill the additional 200 places made available. 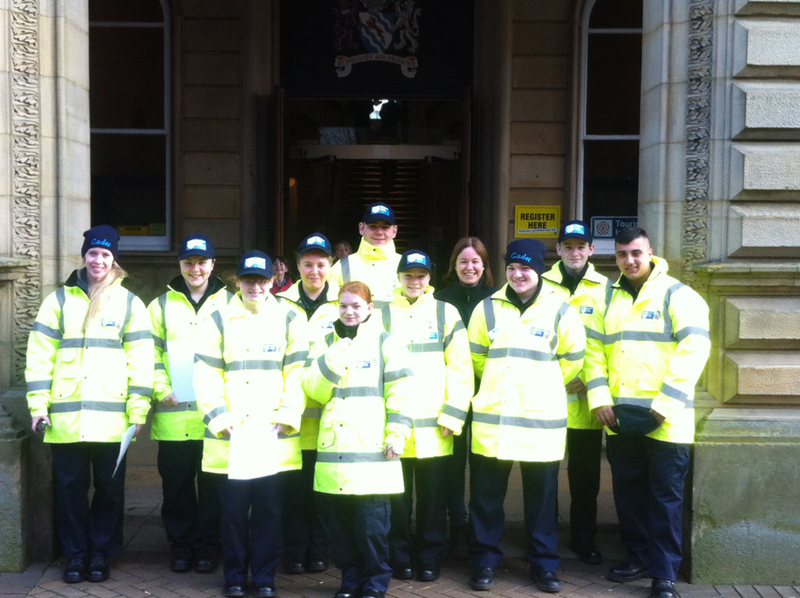 This brings the Lancashire establishment of volunteer police cadets up to 650, one of the largest in the UK. Lancashire headquarters is also hosting the national cadet competition in August this year. Cadets welcome boys and girls aged 13-18 year olds. The recruitment window is now open and anyone interested in adventure, learning new skills and volunteering in the community can apply via the website. 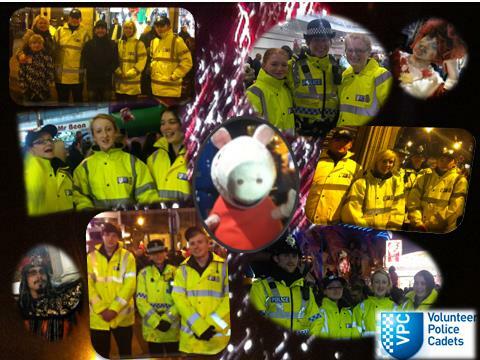 www.lancashire.police.uk/cadets. Are you aged 11-25? Then have your say and let us know how terrorism and radicalisation affects you by taking part in a short, online survey conducted by the National Counter Terrorism Policing HQ. We want young people like you to share their views and opinions, it’s your opportunity to influence change, help increase understanding, challenge misperceptions and improve our access to information. All participants in the survey will remain anonymous and the information provided will only be used for the purposes of this research. 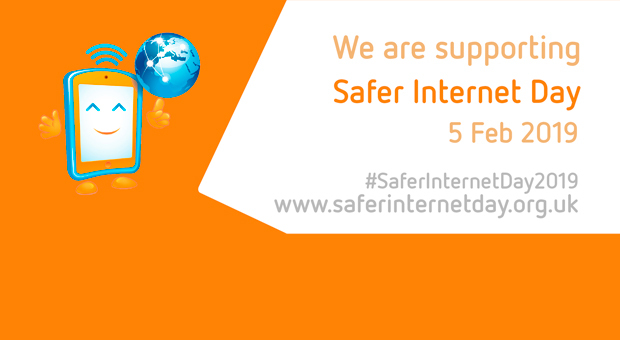 The findings from the survey will be really important in helping to keep you safe. The Patron of Step Up To Serve and the #iwill campaign, HRH The Prince of Wales and the Prime Minister David Cameron addressed young people involved in social action yesterday at an event in London to celebrate the 1st anniversary of the campaign. Step Up To Serve aims to engage young people in social action through uniform youth groups such as the Volunteer Police Cadets. The aim; is that all young people should be a member of a uniformed youth group that engages in social action and that as adults they continue to volunteer in their communities. The campaign seeks to expand the capacity of uniformed youth groups, especially those that can directly impact on community resilience and wellbeing. As a national leader in the development of Volunteer Police Cadets and out of hundreds who applied, two of our cadets were invited to the event to receive awards. 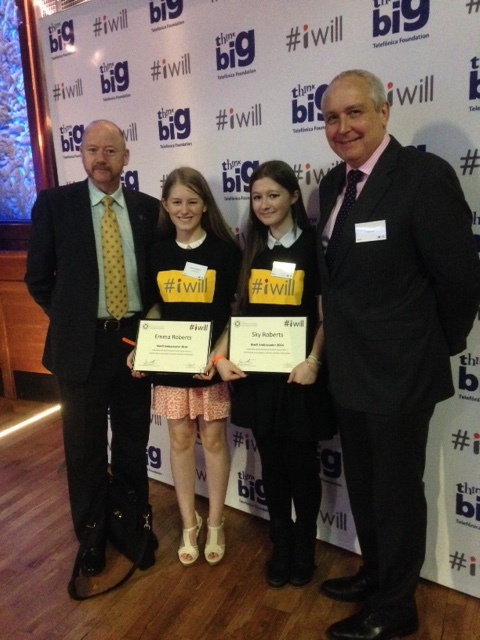 Pictured in London are Lancashire Volunteer Police Cadets, and sisters, Sky 16, and Emma Roberts, 14, both from Lancaster, along with Ed Sherry the National VPC Programme Director and Mr Rob Jarmen, Trustee of the National VPC Charity. Since joining Lancashire VPC, at our Lancaster Unit, Sky and Emma have both got involved as volunteers at a care home for the elderly and at a homeless centre. Both did a sponsored walk for Leukaemia Research earlier this year raising much needed funds. We are now hoping for great things for their younger brother Jake who has also just become a Cadet. With another eight brothers and sisters we are hoping for a whole generation of good work and social action in the future. Their stories and many more will be featured in an up and coming BBC documentary. 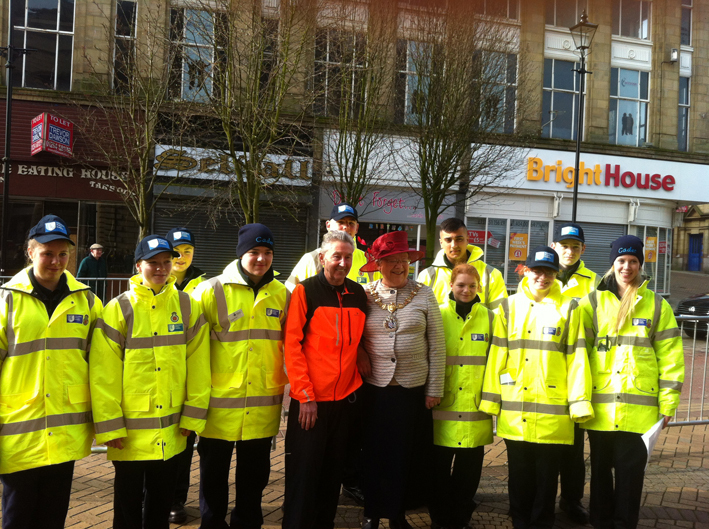 Lancashire Constabulary’s Volunteer Police Cadets attended the Inaugural Accrington Ron Hill 10k on Sunday 30 March to help marshal the race. More than 1,000 people came to celebrate the first Ron Hill race with over 400 people taking part with the Olympic legend himself; running from the town centre to Rising Bridge and back.